Emotions came out for the Hong Kong-3 girls Mei Mei Fong and Yee Ting Cheung when they both entered in the medals round first time in any international competition. The entire Hong Kong contingent was present in the hall and they all were joyous on their splendor victory over arch rival Thailand-2 having world under-21 champion Nutcharat Wongharuthai and upcomer Ploychampoo Laokiatphong. Arguably the Thailand team reflected better on cards and they shown results too where Nutcharat captured first frame one-sided scoring 72 against 22 points of Mei Mei. But Yee Ting Cheung clutched the second frame well and stretched till the last black to win that 58-53. 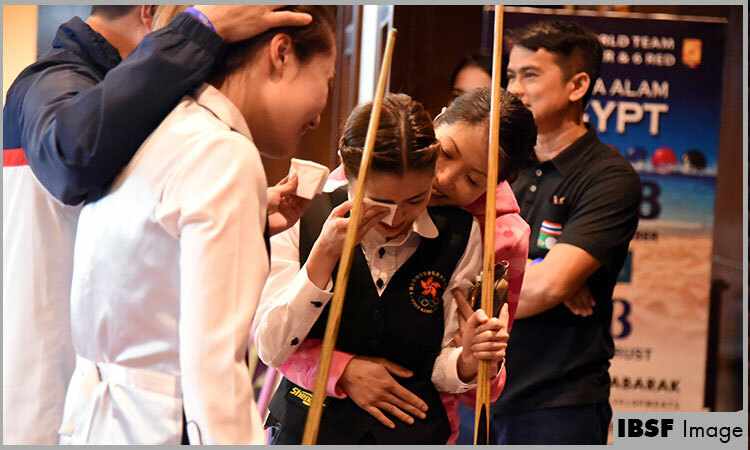 The decider scotch-double frame was quite interesting and continued for longer period but both the Hong-Kong girls held their nerves better and played tactical safety on final colour balls. 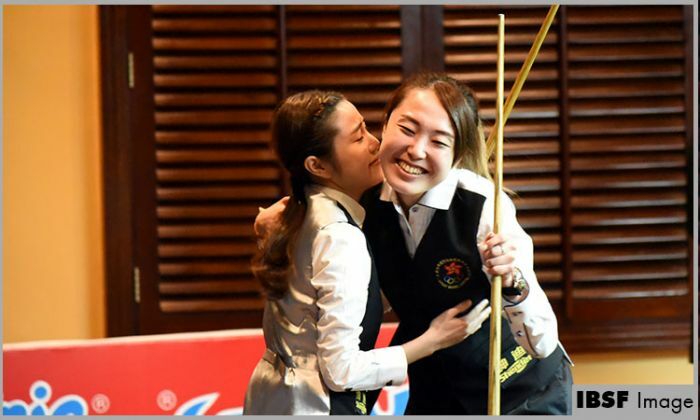 Lastly Mei Mei got an open shot for long Pink which she potted that with complete accuracy placing cue ball in a perfect position for black and then Yee Ting jumped in the air with joy after potting that black as she knew the international medal is confirmed. They will now take on another Thai team Waratthanun Sukritthanes and Siripaporn Nuanthakhamjan in the semi-final bout. The second semi-final will be played between Indian girls Amee Kamani and Vidya Pillai against Hong Kong-1 Ng On Yee and Ka Kai Wan.